In the wake of the Cambridge Analytica scandal and revelations about call and text logging, Facebook simply could not have got away with doing nothing. Mark Zuckerberg has hardly prostrated himself in front of users in his various recent interviews, but today Facebook announces a series of changes to privacy settings. The social network is making it easier to find and use privacy settings, and providing users with information about how to delete the data Facebook stores about them. 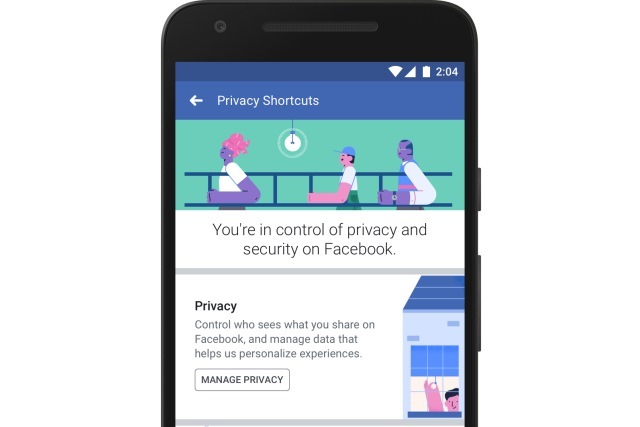 Facebook seems -- a little strangely perhaps -- keen to suggest that the changes are not a reaction to the recent privacy issues. The company says: "Most of these updates have been in the works for some time, but the events of the past several days underscore their importance." Some people want to delete things they've shared in the past, while others are just curious about the information Facebook has. So we're introducing Access Your Information -- a secure way for people to access and manage their information, such as posts, reactions, comments, and things you've searched for. You can go here to delete anything from your timeline or profile that you no longer want on Facebook. We're also making it easier to download the data you've shared with Facebook -- it's your data, after all. You can download a secure copy and even move it to another service. This includes photos you've uploaded, contacts you’ve added to your account, posts on your timeline, and more. While the changes will be welcomed, privacy advocates will almost certainly complain that Facebook has not gone far enough. How do you feel?